Towering above the sparkling waters of Lake Michigan, W Chicago – Lakeshore allows guests to soak in all that the city has to offer by providing 360-degree views of the Windy City. W Chicago-Lakeshore features intimate venues for weddings and parties of all sizes, accommodating up to 200 guests. Couples who are looking to host a shower, rehearsal dinner, or engagement party at W Chicago – Lakeshore have multiple spaces to consider. 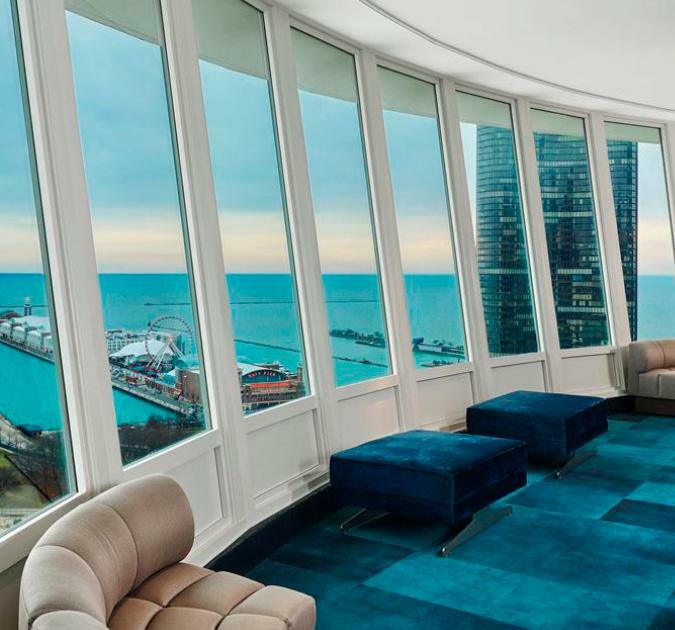 Guests will be in awe as they gather in Altitude, an event space that sits 33 floors above Lake Michigan. If you prefer an outdoor venue, treat guests to an unobstructed view of Chicago’s iconic Navy Pier on the 6th Floor Deck or the 7th Floor Wet deck. W Chicago – Lakeshore is the perfect place for a bachelor or bachelorette party as well. Guests can take advantage of the hotel’s relaxing Bliss Spa throughout the day with a multitude of spa services and luxury amenities. End the night at the fully restyled Living Room Bar to sip cocktails and enjoy a front-row seat for Navy Pier’s impressive fireworks display all summer long. Couples that choose a wedding package from W Chicago – Lakeshore also receive a complimentary suite upgrade, custom web link for the guest room block, an anniversary stay, as well as extra SPG® Points that can be used for future travel.